Back cover blurb: Ethan is an exceptionally gifted young boy, obsessed with physics and astronomy. 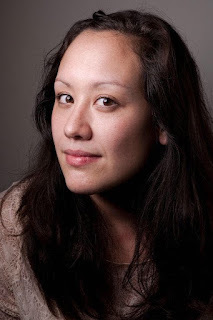 His single mother Claire is fiercely protective of her brilliant, vulnerable son. But she can’t shield him forever from learning the truth about what happened to him when he was a baby; why Mark had to leave them all those years ago. Now age twelve, Ethan is increasingly curious about his past, especially his father’s absence in his life. When he intercepts a letter to Claire from Mark, he opens a lifetime of feelings that, like gravity, will pull the three together again. Relativity is a tender and triumphant story about unbreakable bonds, irreversible acts, and testing the limits of love and forgiveness. 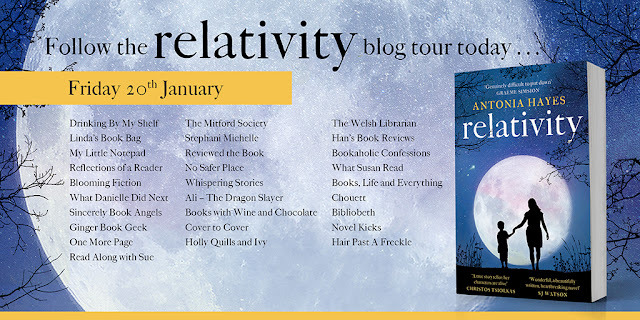 Relativity is a really beautiful debut novel, focusing on family relationships, life-long secrets, and above all forgiveness, with a dash of physcis thrown in for good measure. Now I’m not one for all things science-y, especially not physics, it was my worst subject at all (I'm a literary girl what can I say...) but this was essential to the story, and added so much to it in my opinion. Ethan Forsythe is a twelve year old boy, doing well in school, showing great promise with a love of all things scientific, particularly physics and astronomy. He lives with his Mum, Clare and is happy with his life, but sometimes he wonders where his Father is, and why he isn’t in their lives. Ethan finds the answer to these questions in the worst way imaginable. It seems that something terrible happened to him when he was a baby, and that his Father somehow was a part of that. Ethan refuses to believe that this is the reason his Father left and becomes determined to find out the real truth. 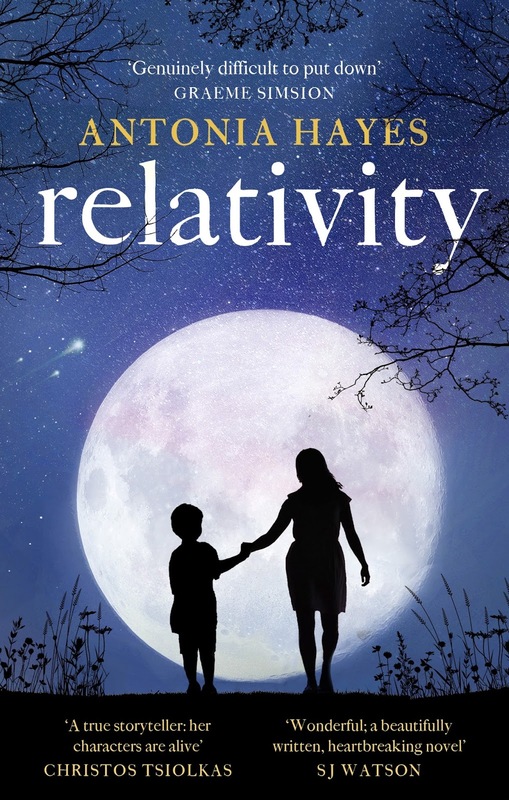 Told from the perspectives of Ethan, Clare and Mark (Ethan's Father), Relativity is a novel that will draw you into its characters lives and keep you there with therm until its conclusion. Relativity is available now via Amazon online and all good book shops. Thank you to the publishers who invited me to take part in this blog tour and provided me with an advanced proof of the novel in exchange for an honest review.